The kelps generally include the many large brown types of seaweed and are among the most familiar forms found on North American coasts. Some have fronds up to 200 ft (61 m) long. Kelps are especially abundant in Japan, and various foods known as kombu are made from them. They are used chiefly as chemical reagents and for dietary deficiencies in people. Kelp contains nearly 30 minerals. It is rich in iodine, calcium, sulphur and silicon. It also contains phosphorus, iron, sodium, potassium, magnesium, chlorine, copper, zinc and manganese. It has a small amount of barium, boron, chromium, lithium, nickel, silver, titanium, vanadium, aluminum, strontium, bismuth, chlorine, cobalt, gallium, tin and zirconium. Kelp is rich in B-complex vitamins. It contains vitamin A, C, E and G. It also contains anti-sterility vitamin S, and it has anti-hemorrhage vitamin K.
Kelp is a good promoter of glandular health. It is beneficial for hypothyroidism as it controls the thyroid and regulates the metabolism, which helps digest food. Kelp can rebalance thyroid metabolism, resulting in successful weight management. 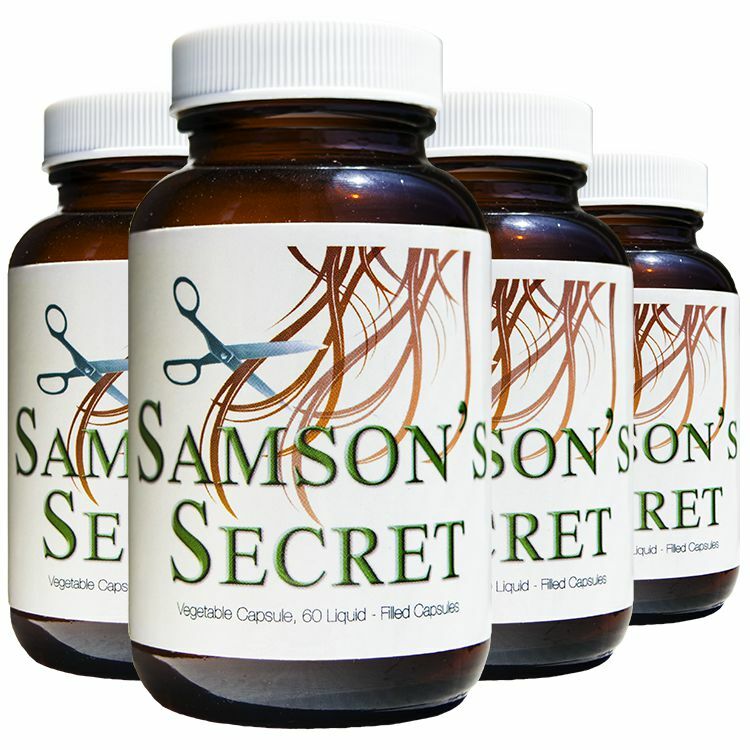 It is helpful in the nourishment of the body with its ability to stimulate metabolism. Kelp has shown the reversal of many conditions caused by a thyroid imbalance including stomach and respiratory disorders. Kelp has a beneficial effect on many disorders of the body. It is called a sustainer to the nervous system and the brain, helping the brain to function normally. It is essential during pregnancy. And it has been shown to prevent heart diseases. Fucus. Sea-Wrack. Kelp-Ware. Black-Tang. Quercus marina. Cutweed. Bladder Fucus. Fucus (Varech) vesiculeux. Blasentang. Seetang. Meeriche. Almost all the more solid Algae were formerly described by the name of Fucus, but now it is applied to one genus of Fucaceae, most of the species of which are found only in the northern seas, many being more or less exposed at low water. Fucus vesiculosis is found on submerged rocks on both coasts of North America, and in Europe north of the Mediterranean, where it drifts in from time to time through the Strait of Gibraltar. The perennial frond or thallus is coarse, light yellow or brownish-green in colour, erect, and from 2 to 3 feet in height. It attaches itself to the rocks by branched, rootlike, discoid, woody extremities, developed from the base of the stalk. The frond is almost fan-shaped, narrow and strap-shaped at the base, the rest flat and leaf-like in form, wavy, many times divided into two with erect divisions having a very strong, broad, compressed midrib running to the apex. The margin is entire, the texture tough and leathery, mainly olive brown in colour, the younger portion yellower, shining. Air vesicles developed in the substance of the frond, usually in pairs, one on either side of the midrib and often one at the fork of the divisions, broadly oval, or spherical, attaining when fully grown half an inch in diameter, are the characteristics of this species which have suggested both the English and Latin names. The fructification is contained in small globose conceptacles with a firm wall lined with numerous jointed hairs and sunk in the surface of large ovoid-oblong or narrower pointed or blunt, swollen receptacles, filled with a transparent mucous. These attain an inch in length and are situated at the ends of the divisions of the fronds. The entire living plant is gathered from the rocks about the end of June and dried rapidly in the sun, when it becomes brittle and may be easily reduced to a coarse powder. Care should be taken to turn it frequently, to avoid the development of a putrid odour. If dried by artificial heat, it retains its hygroscopic qualities and does not become brittle. It is in perfect condition only during early and middle summer, and should not be collected when too fully matured, as it quickly undergoes decomposition. When thrown up on the shore by the sea, the seaweed is not suitable for medicinal purposes, as the soaking of the detached plants in sea-water causes the loss of important constituents by diffusion from cells containing protoplasm which has lost its vitality. As found in commerce, the drug Fucus is hard and brittle, forming a much wrinkled mass, blackish or with more or less of a whitish efflorescence or incrustation, but it acquires a cartilaginous consistency when slightly moistened. It has a strong, sea-weedlike odour and a nauseous, saline and mucilaginous taste. Occasionally, from some unexplained cause, it is very astringent. The powder is reddish brown, with numerous fragments of epidermal tissue, with polygonal cells from 0.012 to 0.025 mm. in length. Kelp is a valuable manure for potatoes and other crops and is gathered for this purpose all along the British coast. It is largely used in the Channel Islands, where it is called Vraic, the early potatoes from Jersey being grown by seaweed manure. Fresh seaweed contains 20 to 40 lb. of potash to the ton, and dried seaweed 60 to 230, so that its collection and use were strongly recommended to farmers while the War caused a shortage of artificial fertilizers. It may be spread on the land and left for some time before ploughing in, but should not be left in heaps, as rotting liberates the potash which may be wasted. The seaweed may be dried and burnt to ashes, then sprinkled on the ground as Kelp. The early broccoli from Cornwall is fertilized with wrack, and on the west coast of Ireland, driftweed is almost the only manure used for raising potatoes. In the Channel Islands it is used for producing the smoke for drying bacon and fish, while in the Hebrides, cheeses while drying are covered with the salty ashes, and horses, cattle and sheep have been fed with it. During the War the French Ministry of War experimented with regard to the value of seaweed as food for horses. A batch of twenty fed on the usual ration of oats and fodder gained eleven kilogrammes less in two months than a similar number fed on the same weight of seaweed. Another trial resulted in the cure of some sick horses fed on seaweed, while others fed on oats remained out of health. In Denmark, a few years ago, the possibility of making paper from seaweed was mooted, but the cost of collecting probably proved too serious an obstacle. It is also possible that considerable quantities of alcohol might be obtained from various species. Many attempts have been made to make kelp-burning successful by finding a use for by-products from destructive distillation in retorts, but the cost of collection, drying and fuel prevents such experiments being financially profitable. There were at one time flourishing kelp industries in the Hebrides, and Lord Leverhulme, the owner of Lewis Isle, sent experts to report on the possibilities, but his death and lack of official support caused the matter to be dropped. F. vesiculosis is the badge of the M’Neills. Kelp contains about 0.1 per cent. of a volatile oil, cellulose, mucilage, mannite, colouring and bitter principles, soda and iodine, and bromine compounds of sodium and potassium. These saline ingredients constitute 14 to 20 per cent. of its ashes, which the dry plant yields in the proportion of 2.5 to 4 per cent., and also remain in the charcoal buy cheap propecia uk resulting from its exposure to heat in closed vessels. The proportions, especially of iodine, vary according to both locality and season. They are most abundant at the end of June. It has been stated that 0.8 per cent. of a sugar named Fucose exists in dried seaweed, and that this yields an alcohol, Fucitol. The air in the vesicles consists of a considerably higher percentage of Oxygen and a lower percentage of Nitrogen than in the outer atmosphere. Its value as a fertilizer is due to its potash. One hundred pounds of red wrack, dried to a moisture content of 10 per cent., when heated for a short time with weak sulphuric acid and the acidity still further reduced after cooling, may be fermented with brewers’ yeast and is then capable of yielding about 6 litres of alcohol on distillation. It is alleged that under industrial conditions this amount might be increased. Kelp, or dried seaweed, was the original source of iodine, being discovered as such by Courtois in 1812, when investigating the products obtained from the mother-liquors prepared by lixiviating burnt seaweed. Iodine does not occur in nature in the uncombined condition, but is widely, though sparingly distributed in the form of iodides and iodates, chiefly of sodium and potassium, in seawater, some seaweeds, and various mineral and medicinal springs. Kelp-burning as a source of iodine is a dead industry, owing to a cheaper process of obtaining it from the mother-liquors obtained in the purification of Chile saltpetre, and the use of kelp – an impure carbonate of soda, containing sulphate and chloride of sodium and a little charcoal – as a source of alkalies for soap and glass manufacture has been rendered obsolete by the modern process of obtaining carbonate of soda cheaply from common salt. Unless very recently discontinued, however, the preparation of iodine from kelp is still carried on at Glasgow. Several methods were employed: (1) the weeds being dried in the sun, burned until formed into a confused mass, and sprinkled with water to break it up into pieces which were treated at chemical works; or (2) the seaweed was heated in large retorts, whereby tarry and ammoniacal liquors pass over and a very porous residue of kelp remained; or (3) the weeds were boiled with sodium carbonate, the liquid filtered and hydrochloric acid added to the filtrate, when alginic acid is precipitated; this is filtered off, the filtrate neutralized by caustic soda and the whole evaporated to dryness and carbonized. The resulting kelp was then lixiviated with water, which extracts the soluble salts, and the liquid concentrated to crystallize the less soluble salts for removal. The addition of sulphuric acid set chemical processes in action, which finally liberated the iodine from its compounds. Three tons of Tangle (Laminaria) give a ton of kelp, or 20 tons of cut-weed, or Fucus. Good drift may yield as much as 10 to 15 lb. of iodine per ton, and cut-weed kelp only 3 to 4 lb. Other constituents vary from 2 to 10 per cent. in different samples. Bladderwrack is not largely used at present, any virtues it may have being due to the iodine contained in it. 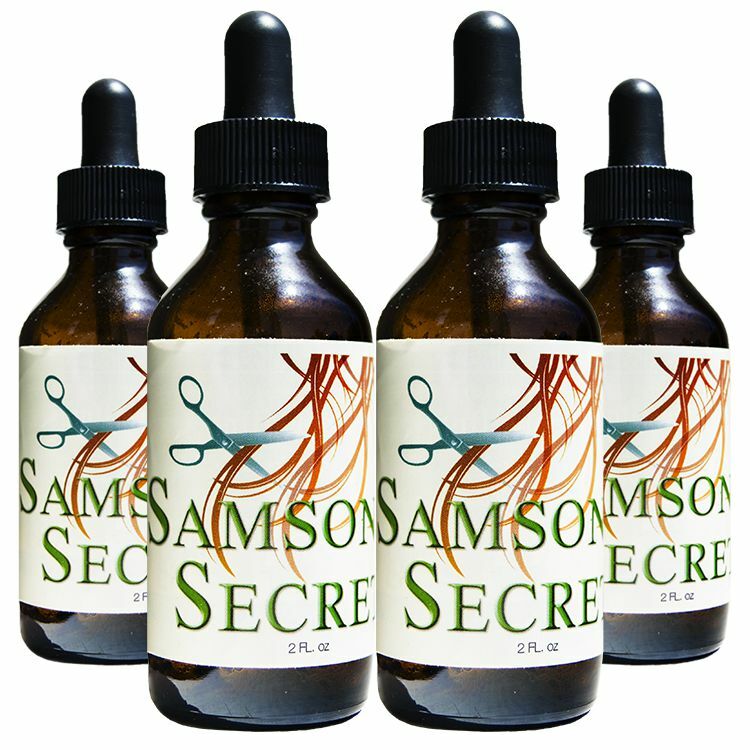 It has alterative properties, has been used in scrofula, and is thought by some authorities to reduce obesity through stimulating the thyroid gland. The charcoal derived from Kelp has been used in the treatment of goitre and scrofulous swellings under the name of Æthiops vegetabilis or vegetable ethiops, introduced by Dr. Russell in 1750, who also used a jelly for similar purposes, both internally and externally. He was also successful in dispersing scrofulous tumours by rubbing in the mucus of the vesicles of Bladderwrack, afterwards washing the parts with sea-water. The charcoal was also helpful in goitre. 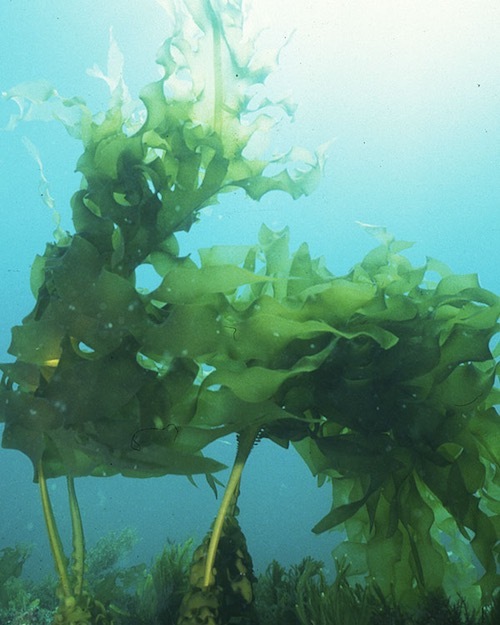 The iodine from other sources led to the neglect of kelp products. In 1862 Dr. Duchesne-Duparc found while experimenting in cases of chronic psoriasis, that weight was reduced without injuring health, and used the drug with success for the latter purpose. Dr. Godfroy experimented on himself, losing five and a quarter pounds in a week after taking before three meals a day an extract made into pills containing 25 grams (3.75 grains). The bromine and iodine stimulated the absorbent glands to increased activity, without causing an atrophied wasting of the glands. Later experiments of Hunt and Seidell indicated that the result is brought about by stimulation of the thyroid gland. Sea-pod liniment, is the expressed juice and decoction of fresh seaweed as dispensed by sea-side chemists for rheumatism, and the extract, taken continuously in pills or fluid form is reputed to relieve rheumatic pains as well as to diminish fat without harm. Sea-pod essence is good for rubbing into sprains and bruises, or for applying on wet lint under oiled silk, as a compress, changed as often as hot or dry. It may be preceded by fomentations of the hot decoction. Embrocation for strengthening the limbs of rickety children can be made from the glutinous substance of the vesicles, bottled in rum. Fucus or Seaweed wine, from grapes and dried Fucus, has been praised as a remedy in diseases of the hip and other joints and bones in children. For external application to enlarged or hardened glands, the bruised weed may be applied as a cold poultice. Kelp is also used in several popular herbal hair growth remedies. The Alginic acid obtained from seaweed is used to form an organic compound with iron, which is sold under the trade name of Algiron or Alginoid Iron. It contains about 11 per cent. of iron and is given in doses of 2 to 10 decigrams (3 to 15 grains). Fucol is a trade name for a cod-liver oil substitute, said to be obtained from roasted Bladderwrack with a bland oil. It is green in colour, and resembles coffee in odour and taste. Fucusin tablets are recommended in obesity. F. nodosus, the Knobbed Wrack, has anarrower thallus, without a midrib and single vesicles. F. serratus, the Black Wrack, has a veined and serrate frond, without vesicles . Both contain the same constituents as Bladderwrack. F. serratus has been much used in Norway for feeding cattle, being called there ‘cowweed.’ Linnaeus stated that in Gothland the inhabitants boiled it with water, mixed it with a little coarse meal or flour, and fed their hogs with it, for which reason they called the plant ‘Swine-tang.’ In Sweden the poor people covered their cottages with it and sometimes used it for fuel. F. siliquosus has a very narrow frond, with short branches and articulated vesicles of a pod-like appearance. This and the two preceding species are permitted by the French Codex to be employed in the place of F. vesiculosis. F. natans (Sargassum bacciferum) is the Gulf-weed of the Atlantic Ocean and is often found in immense masses floating in the sea. The frond is terrate and has linear and serrate branches and globular vesicles of the size of a pea. F. vesiculosis was reputed to be the Antipolyscarcique nostrum of Count Mattei. F. canaliculatus is remarkable for its amphibious habits, growing on large boulders and recovering after being baked by the sun into hard brown masses. F. amylaceus, or Ceylon Moss, abounding in starch and vegetable jelly, is used like carrageen, or Irish moss. F. Helminthocorton (Corsican Moss or Gigartina Helminthocorton) is regarded in Europe as an anthelmintic and febrifuge. It is an ingredient in the trade mixture called Corsican Moss, used in decoction of from 4 to 6 drachms to a pint, the dose being 1 wineglassful three times a day. Laminaria digitata, sea-girdles or tangles, of Scotland, gives a good substance for bougies. The stems are strong and tenacious, from 2 to 12 inches long and an inch or more wide, drying easily with much shrinkage and becoming firm, only slightly softer than horn, and yet elastic. It may be kept thus for years, and will absorb moisture at any time and swell to the original size, thus being valuable for dilating bougies and tents. The Laminariaceae species are very remarkable in many ways. L. digitata, L. stenophylla, and L. saccharina are the principal ones associated with the kelp industry. F. crispus is a name of Chondrus crispus or Gigartina mamillosa (Irish Moss or Carrageen) of European coasts, well known as a demulcent. Dosage, 4 drachms..